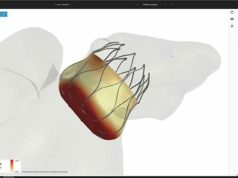 AtriCure has announced entering into a definitive merger agreement to acquire Estech, a developer of surgical ablation devices with controlled radiofrequency technology used in the treatment of atrial fibrillation. “Estech is an ideal strategic fit for AtriCure, as it expands our presence and reinforces our commitment to the atrial fibrillation market. The combination of the two companies enhances AtriCure’s leadership and intellectual property position across surgical ablation and epicardial left atrial appendage closure and accelerates the availability of broader surgical ablation offerings through the combination of Estech’s sales and marketing and research and development capabilities worldwide under the AtriCure umbrella,” said Mike Carrel, president and chief executive officer of AtriCure. “Estech’s innovative surgical ablation portfolio is an excellent fit into AtriCure’s market leading portfolio. Estech’s customers will be very well served by AtriCure’s strong global sales and training presence and demonstrated long-term commitment to atrial fibrillation and left atrial appendage management,” said John Pavlidis, president and chief executive officer of Estech. AtriCure expects that the transaction will increase sales and marketing expense as well as research and development expenditures in order to accelerate clinical development and commercial sales of the combined product portfolio.